In part two of our series on the Future Growth of ASCs, we delve the increasingly popular physician employment model and how it compares to the standard ASC model of ownership. Alejandro Fernandez, CEO of Gastro Health, PL, and Dr. Michael Rimlawi, Director at The Minimally Invasive Spine Institute, explain what exactly the physician recruitment model is and the benefits it can lend to an ASC and the community wherein it operates. 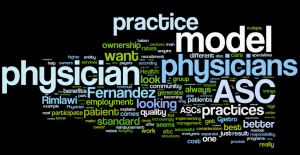 When it comes to the standard ASC model, there is one major difference that comes into play when comparing to the physician employment model, according to Fernandez. For practices that have multiple services under one roof, as in the case of Gastro Health, community demand can become high. Bringing in more physicians using the physician recruitment model can provide benefits not realized under previous models. The legal structure of this model remains the same as the standard model. The questions that arise as a result of this involve figuring out what to do with the physician owners of an ASC that aren’t partners in the physician practice. You have to find ways to share in the efficiencies of owning an ASC when you’re not an owner in the physician practice itself. Regardless, by implementing the physician employment model you avoid one of the more prominent problems associated with the standard ASC model, that of loyalty from physicians. One of the main goals that everyone is reaching for is efficiency. This comes as a result of continually decreasing reimbursement rates and increasing patient cost responsibility. 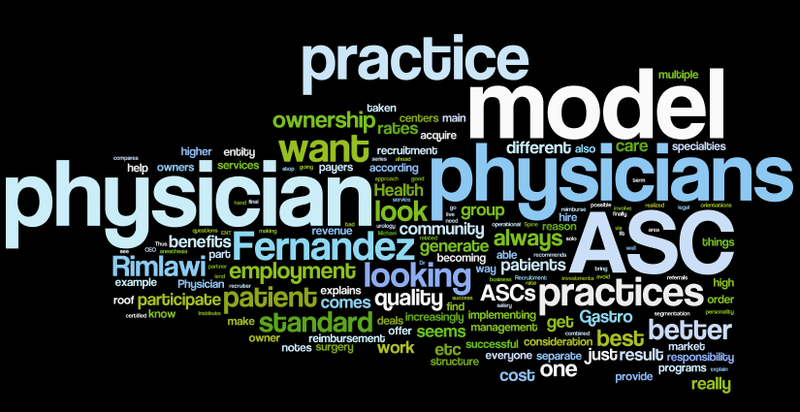 That being said, physicians are looking more to becoming part of group practices via the physician employment model. According to Rimlawi, there are some specialties that could work better within this model and result in a higher return. Those physicians who are highly respected in the community who have ownership in an ASC are a good fit. The purpose of acquiring physicians, according to Fernandez, shouldn’t just be for growth. There are many other factors that should be taken into consideration when implementing this model, such as board certification, personality, referrals from physicians, etc. In order to best make this model work from a logistic perspective, Rimlawi recommends first forming a Professional Association (PA) to hire physicians under. Seeking out a partner entity to purchase practices and ASCs is also an approach being taken by owners. For example, Gastro Health engages in such deals regularly. The physicians who opt into this arrangement, notes Fernandez, also aren’t necessarily those whose business is booming under their current situation. The last and final benefit, as should be in all things medical related, goes to the patient. Any model that can contribute to the best possible care for the patient who is becoming increasingly burdened with cost responsibility is worth consideration. It is not quite easy to receive funds through other external resources, generally to deal with soundness care needs. Very popular penicillin antibiotics that fights bacteria. These drugs does not treat a viral infection like a common cold. Kamagra is a cost effective remedy for helping men to sustain an hard-on. What about online cialis and cialis online? When you order medications like Kamagra you have to know about how to buy cialis safely. Other question we are going to is undefined. Like many other medicines, Kamagra is also classified according of it’s active ingredient. Keep reading for a list of medicines that may cause heartiness problems and what you can do to prevent probable side effects. The most common perhaps serious side effects of such medications like Kamagra is back hurt. This is not a complete list of feasible side effects and others may occur. Internet is a perfect way to find a physician in your area who treats this kind of disfunction.